Robert H. Scales wrote a piece for The Atlantic entitled Gun Trouble, with the catchy subtitle as follows: The rifle that today’s infantry uses is little changed since the 1960s—and it is badly flawed. Military lives depend on these cheap composites of metal and plastic. So why can’t the richest country in the world give its soldiers better ones? Scales then proceeds to rehearse the history of flaws after the initial rollout of the M-16 in Vietnam, well known flaws (and failed to mention others, such as the fact that the chamber and barrel weren’t chrome-lined in the initial stages of production). He pans the 5.56 mm NATO round, and ends up recommending two (what he considers to be) improvements. First, he wants a larger caliber round, and second, he wants a gas recirculation system rather than the current DI system in use in the Eugene Stoner design (He fails to mention that the gas recirculation system weighs the front end of the rifle down and makes it more difficult to maneuver in CQB such as room clearing. This is a point made to me by my son, who didn’t even like my quad-rail on the front end of my RRA rifle due to its weight). Scales points to Wanat as proof positive that American lives are being wasted by a bad design. In spite of the high number of kills in the wars in Vietnam, Iraq and Afghanistan, Scales calls the 5.56 mm a “varmint round.” We’ve seen all of this before, much of it coming from experience many decades ago. But we’ve seen testing that simply shows much of the bad press for the Stoner design (and good press for the Kalashnikov design) to be false. Recall the testing done on the Knights Armament rifle, and reader Pat Hines sends two more examples here and here. The point is granted that Rock River Arms, Knights Armament, LaRue Tactical and Daniel Defense isn’t the Colt produced under milspec for the Army and Marine Corps (these are all superior to the Colt M-16 and M-4). Furthermore, recall that we’ve discussed what it means to be milspec and what it doesn’t. Not milspec isn’t always worse, and milspec isn’t always better. Still, my own son Daniel tells me that he never had any problems with either his SAW or an M-4 when he used that in training and in Fallujah, Iraq (while still claiming that my RRA rifle was better than the Colt he used). The biggest problem with Scales’ argument isn’t that it doesn’t rely on hard evidence regarding quality battle rifles today (and it doesn’t, and some AR-15s are better designed and manufactured than the M-4 it must be admitted). The biggest problem with his argument is that it blames the wrong culprit. 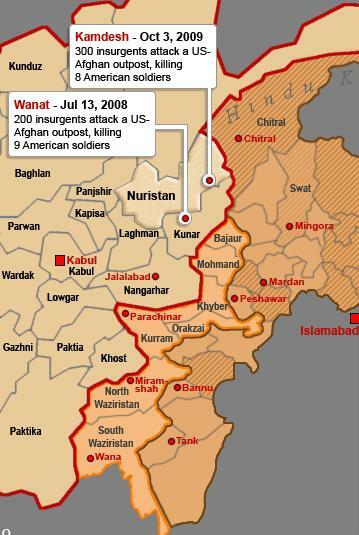 My coverage of the Battle of Wanat goes back to before the Cubbison report, from 2008 until recently. And many other articles. I am proud to have contributed in some small way to the Wanat report still on file at Fort Leavenworth (on page 255 three of my articles are cited). Specifically, it was published by the Combat Studies Institute Press, U.S. Army Combined Arms Center. The kill ratio was indeed lower at Wanat than has been noted at other engagements, but the fact that Soldiers had to put 400 rounds through their weapons in such a short time frame is indicative of a different problem than the gun. First of all, with all due respect to the Soldiers who were there, fire control and long distance optics would have been a valuable commodity. When training his “boots,” my son worked first, middle and last on rate of fire and fire control. And use of a larger bore weapon wouldn’t have helped barrel temperature (have you ever shot a large caliber weapon? ), and would certainly have hurt the ability to regain sight picture after firing due to significant recoil. Use of DMs with M-14s or bolt action sniper rifles would have helped (the Marines make use of such tactics), as would have training in shooting uphill (to which very few units train – I know this from conversations with Army trainers). But the biggest problems with Wanat were associated with command choices that could have been done differently. Vehicle Patrol Base Wanat (it was a VPB rather than a FOB), took entirely too long to set up, allowing enemy massing of forces, something I’ve noted on a number of occasions in Afghanistan (it’s a favorite tactic when the Taliban think they can greatly outnumber their opponent). The platoon in Wanat sacrificed control of the key terrain in the area in order to locate closer to the population. This was a significant risk, and I don’t see any indication that they attempted to sufficiently mitigate that risk. I can empathize a little bit – I was the first Marine on deck at Camp Blessing back when it was still Firebase Catamount, in late 2003. I took responsibility for the camp’s security from a platoon from the 10th Mountain Div, and established a perimeter defense around it. Looking back, I don’t think I adequately controlled the key terrain around the camp. The platoon that replaced me took some steps to correct that, and I think it played a significant role when they were attacked on March 22nd of 2004. COIN theorists love to say that the population is the key terrain, but I think Wanat shows that ignoring the existing natural terrain in favor of the population is a risky proposition, especially in Afghanistan. The force was simply too small (platoon size versus virtual battalion size Taliban force), and they were simply outgunned. It’s remarkable that they didn’t have even more casualties. Blaming the gun we deployed with the Soldiers is the easy thing to do. It’s also the wrong thing to do, and it’s disingenuous. Blaming the men who made the decision to deploy the way they did would be the hard thing to do because it gets personal. But at least it would be honest. For some time now I have observed High School and College age kids to try to determine the degree to which they appreciate and understand the sacrifice that the men in uniform have made, especially combat veterans. Frankly, it’s a disturbing practice that has led in no small part to a sort of loss of hope in this generation. Many are consumed with video games, comfort, and their own well being. Occasionally though, something like this comes along. A combat veteran of the Battle of Kamdesh is going to play football for my alma mater, Clemson University. It’s always been Daniel Rodriguez’s dream to play college football, but that dream had to be deferred when he decided to join the Army after high school. Six years after the decision, Clemson is finally making Rodriguez’s dream come true. On Wednesday, the school announced Rodriguez, a 24-year-old, 5-foot-8 receiver, was cleared by the ACC to join the Tigers. Rodriguez served as an Army infantryman in both Iraq and Afghanistan from 2006-10. In October 2009, Rodriguez was wounded in the battle of Kamdesh after more than 400 Taliban insurgents stormed a small American base. Rodriguez took shrapnel in his legs and neck, and a bullet fragment in his shoulder. He was awarded a Bronze Star of Valor and Purple Heart for his bravery in the fight. Rodriguez was honorably discharged in 2010, and when he left the Army he did so intending on following through on a promise he made to his good friend Pfc. Kevin Thompson, who was killed in the battle. That promise was to find a way to play college football. Rodriguez understands that he’s not going to come into Clemson and be some sort of world-beater on the field, but he’s grateful for the opportunity and hopes his leadership will become an asset. Watch the above video, it will make you want to root for Rodriguez to do well. The video is remarkable, and Rodriguez gets the honor of competing for Clemson … and Clemson gets the honor of having him. It’s a remarkable video that punctuates a remarkable story. McChrystal is well within his rights to make individual exceptions to his overarching ruling of giving up the countryside to protect the population centers — and it seems pretty dumb to give up a known avenue of approach like this rat line, especially when the governor is requesting protection. Around 25,000 votes were cast in Barge Matal, approximately ten for every person in the village. A cynic might say U.S. forces were called in so Barge Matal would be secure enough for local officials to rig the vote. I have spoken to cynics within the U.S. military leadership in eastern Afghanistan. They go further than that. They believe the Afghan government used the military (which brought in the ballots by helicopter) to provide cover for vote rigging and that the Afghan request to secure Barge Matal had deadly consequences for U.S. troops. But it gets even worse. Jonathan S. Landay (McClatchy reporter who was with the three Marines and Corpsman who perished in the Kunar Province when they were denied artillery support after being ambushed by Taliban) digs deeper. Army Gen. Stanley A. McChrystal, the top U.S. commander in Afghanistan, kept a remote U.S. base in the country manned last year at the local governor’s request despite warnings from his field commanders that it should be closed because it was vulnerable and had no tactical or strategic value. McChrystal’s decision to maintain the outpost at Barg-e Matal prompted the top American commanders in eastern Afghanistan to delay plans to close a second remote U.S. outpost, Combat Outpost Keating, where insurgents killed eight U.S. troops in an assault Oct. 3, a McClatchy investigation has found. Keeping Barg-e-Matal open also deprived a third isolated base of the officer who would have been its acting commander and left its command to lower-ranking officers whose “ineffective actions” led “directly” to the deaths of five American and eight Afghan soldiers in an ambush Sept. 8, according to a high-level military investigation. In addition, an unidentified witness told the military investigators that the operations center that failed to provide effective artillery and air cover to the U.S. and Afghan force that was ambushed in the Ganjgal Valley was focused instead on Barg-e Matal. However, the ambush inquiry and a similar high-level Army probe into the Oct. 3 deaths at COP Keating, the worst single American combat loss in 2009, don’t mention that McChrystal’s decision to keep Barg-e Matal open made the combat outpost and the Ganjgal operation more vulnerable. Instead, the inquiries hit lower-ranking officers — including two field commanders who’d urged McChrystal for months to close Keating and Barg-e Matal — with administrative penalties. The two officers, Col. Randy George and Lt. Col. Robert B. Brown, and other U.S. officials had warned repeatedly that the two outposts were worthless and too costly to defend, two American defense officials and a former NATO official told McClatchy. So via the AR 15-6 process, we are on another head hunt in order to exonerate decisions made at the very top. Listen carefully to me. I have previously said that COP Keating did indeed serve a purpose, i.e., to interdict fighters flowing from Pakistan into Afghanistan along this route. That is what makes this so ugly. McChrystal has a right to decide, stipulate, caveat, circle back around, and whatever else he wants to do. His giving up the countryside in favor of population centers is wrongheaded, and I do not now and have never concurred with the idea of population-centric counterinsurgency when applied as an exclusive use doctrine. Nor do I believe in holding terrain. But again, listen carefully to me. What neither McChrystal nor any of his reports has a right to do is leave U.S. warriors in poor terrain, with lack of adequate force protection, in inadequately garrisoned outposts, with poor logistics and little outside assistance. McChrystal DOES have a right to issue deployment / garrisoning orders. He DOESN’T have a right to forget or ignore basic military doctrine like force protection – not for interdiction, not for politics, not for any reason, ever. The video below is well worth the study time, and tells us even more first hand information about the battle at Kamdesh, and specifically how the Soldiers at COP Keating responded to the attack. It would be good if the Army released the AR 15-6 investigation, but in lieu of that we can piece together enough information to draw conclusions regarding terrain, combat readiness of the U.S. Army, combat readiness of the Taliban, etc. Obviously, this was an intense fire fight with ammunition being fired so quickly that shooters were unloading weapons as fast as re-loaders could work. The Taliban were very effective, and notice that one of the first things they did was to render the mortar pits incapable of use due to suppressing fire. They were good shots, had large weaponry (e.g., recoilless rifles), and were very well prepared to occupy good terrain and engage in serious conventional-style combat with U.S. forces. There are still lessons to be learned from the Battles of Wanat and Kamdesh in the Kunar and Nuristan Provinces of Afghanistan, respectively. 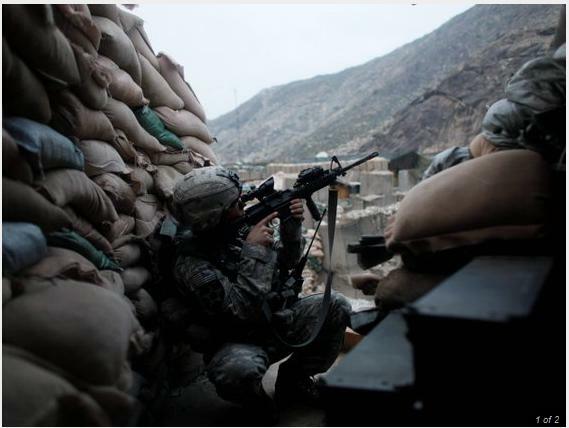 On 3 October 2009, Soldiers of Bravo Troop, 3rd Squadron, 61st Cavalry, repelled an enemy force of 300 Anti-Afghan Forces (AAF) fighters, preserving their combat outpost and killing approximately 150 of the enemy fighters. US forces sustained eight killed in action and 22 wounded, all but three of whom returned to duty after the attack. The Soldiers distinguished themselves with conspicuous gallantry, courage, and bravery under the heavy enemy fire that surrounded them. But while this summary hints at population-centric procedures, COP Keating was intended to patrol and oversee a stretch of Pakistani border to interdict the flow of insurgents coming into Afghanistan. By any account, being located on a transit route for insurgents brings legitimacy to the outpost. A command decision was made, however, to close the COP due to lack of proper manpower. This delay caused additional problems. The delayed closing of COP Keating is important as it contributed to a mindset of imminent closure that served to impede improvements in force protection on the COP. There were inadequate measures taken by the chain of command, resulting in an attractive target for enemy fighters. Over time, and without raising undue concern within the US intelligence system, the enemy conducted numerous probing attacks, learning the tactics, techniques and procedures of B Troop, and pinpointing location of weapons systems and key infrastructure and material, such as generators and barracks. Compounding the situation for the Soldiers on COP Keating, intelligence assessments became desensitized to enemy actions over several months. During the five months of B Troop’s deployment to COP Keating, the enemy launched approximately 47 attacks – three times the rate of attacks experienced by their predecessors. On several occasions intelligence reports in advance of an attack indicated there was a large enemy force that would strike, but the attack that followed generally consisted of a few number of fighters who used indirect and small arms fire for an engagement that averaged five to ten minutes in duration. Owing to this experience with the enemy in vicinity of COP Keating, the perception prevailed that reports of massing enemy forces were exaggerated and improbable. Gen. Burgess explained in testimony to the committee that the military had three intelligence reports on the issue, but that the reports were among many human-source reports that had not been verified by other means, such as electronic intelligence. As a result, the reporting was not deemed “actionable” intelligence, said defense officials familiar with the testimony. We don’t trust our human intelligence people to make a call. We rely way too much on sigint more than anything. If it’s not in a signal some don’t think it’s real. It’s as if someone can’t lie over the radio or phone. Recalling our analysis of the Wanat engagement, intelligence failed the 2nd Platoon, Chosen Company by ignoring the signs of an imminent attack by massed Taliban forces. The Vehicle Patrol Base (COP) Kahler was located in low terrain, and worse still, the insufficient force protection at Observation Post Top Side took eight of the nine who perished that fateful night (including Soldiers who attempted relief of Top Side). The video below (from approximately 1:00 to approximately 2:00) shows the terrain and natural features of the location at Wanat. COP Keating at Kamdesh suffered from the same sort of force protection and terrain problems. The best video I have found of COP Keating has been removed, but another useful one can be seen below (the video is obviously being taken from Observation Post Fritsche. This is an issue for all such Combat Outposts in this part of Afghanistan. The full AR 15-6 apparently found that a series of command errors occurred at COP Keating. There is a larger push to hold field grade officers accountable for these kinds of tactical errors. The military does not release figures on disciplinary actions taken against field commanders. But officials familiar with recent investigations said letters of reprimand or other disciplinary action have been recommended for officers involved in three ambushes in which U.S. troops battled Taliban forces in remote villages in 2008 and 2009. Such administrative actions can scuttle chances for promotion and end a career if they are made part of an officer’s permanent personnel file. The investigations are a departure for the U.S. military, which until recently has been reluctant to second-guess commanders whose decisions might have played a role in the deaths of soldiers in enemy action. Disciplinary action has been more common in cases in which U.S. troops have injured or killed civilians. In response to the recent reprimands, some military officials have argued that casualties are inevitable in war and that a culture of excessive investigations could make officers risk-averse. “This is a war where the other side is trying, too,” said one Army officer who commanded troops in Afghanistan and requested anonymity in order to speak freely. As many as five battlefield commanders have received letters of reprimand in the past month or have been the subject of an investigation by a general who recommended disciplinary action. A sixth commander received a less-severe formal letter of admonishment. None of the investigations or letters of reprimand has been released publicly. Regarding COP Keating, leaving Soldiers garrisoned at an ill-defended outpost that (contrary to claims, did serve a purpose) is intended to be abandoned is a huge error in judgment and points to inept logistics and planning. Regarding COP Kahler, poor terrain, poor force protection, poor intelligence and a delay of almost 12 months (allowing the Taliban to do their own intelligence work and mass forces) again points to horrible errors in judgment. But the idea of using smaller, less defended Combat Outposts to put Soldiers and Marines more in touch with the population comes from counterinsurgency doctrine, and it is here that the failure is occurring. When a particular location has not been subjected to intensive kinetics to place the insurgents on the defensive and reduce their influence and power, it is naive to plan population-centric tactics and procedures. We are attempting to employ the later phases of the campaign in earlier phases (contrary to the claims of the certainly still grieving David Brostrom, father of 1st Lt. Jonathan Brostrom). Counterinsurgency is being practiced absent a conventional mindset, leading to poor force protection. We can wish for the utmost in contact with the population. But winning hearts and minds won’t work unless and until the insurgents’ control over their hearts and minds is challenged with kinetics. The enemy is certainly telling us that when they can mass forces of nearly half a Battalion against platoon size U.S. forces. The population has no reason to side with the U.S. when the Taliban are stronger. Four important lessons can be learned from the deadly engagements at Wanat and Kamdesh. First, terrain is of critical importance to far flung Forward Operating Bases and Combat Outposts in the rugged, mountainous regions of Afghanistan (or anywhere else there is undulating terrain). Second, the Taliban have shown the propensity and capability to mass troops to near half a Battalion size force. The proper force protection must be planned and implemented to prepare for such engagements. Third, as a corollary to the second, FOBs and COPs must be properly manned with U.S. combat forces to accomplish the mission. Thus far, U.S. command has demonstrated a predilection to underestimate proper manning of smaller outposts. Fourth, our intelligence apparatus has shown a predilection to intransigence. The response time and sensitivity of our intelligence must improve or more lives will be lost due to inept analysis. 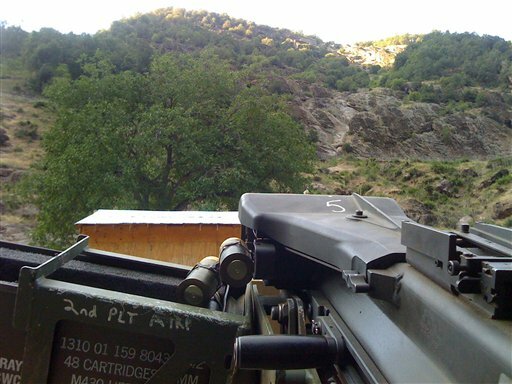 From Stars and Stripes, we are headed back to the Waigal Valley, Nuristan and Kunar Provinces. The 2nd Battalion, 503rd Infantry Regiment is heading back to the same region where it took part in the Army’s deadliest battle in Afghanistan. While the rest of the 173rd Airborne Brigade Combat Team is heading to Logar and Wardak provinces for its upcoming deployment, the 2-503rd will be assigned to the 4th Brigade Combat Team, 4th Infantry Division, said Maj. Thomas Gilleran, 173rd public affairs officer. 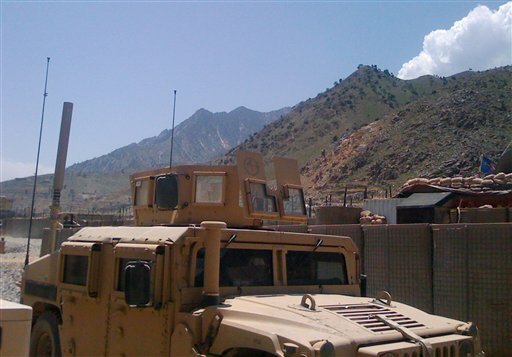 The 4th Brigade Combat Team is serving in Kunar province, the same region where the 2-503rd served in 2007-2008. During its 14-month tour, “The Rock,” as the unit is known, engaged in hundreds of contacts with enemy forces, including the battle of Wanat, in which hundreds of insurgents attacked a small, remote Army outpost. In the hours-long battle, nine 2-503rd soldiers were killed and more than two dozen were wounded. The region is still volatile. Since the beginning of October, 12 soldiers assigned to the 4th Brigade Combat Team have died, including eight who were killed Oct. 3 in Kamdesh district in an attack similar to the one at Wanat. Kamdesh is in Nuristan province and northeast of Wanat. Kamdesh is one of a collection of isolated valleys near northeastern Afghanistan’s border with Pakistan where U.S. troops have faced fierce resistance in recent years. Military and outside analysts have described the insurgency in northeast Afghanistan as a hybrid of local, tribally based fighters loosely allied with the Taliban and other insurgent networks. The military initially ascribed the Kamdesh attack to tribal militias but later blamed the Taliban. Battalion leaders confirmed the 2-503rd’s upcoming assignment. The Captain’s Journal will follow this deployment. Let’s hope that we have learned the many lessons of Wanat and Kamdesh – controlling the high ground, sufficient logistics, properly resourced and manned deployments, adequate force projection, taking the initiative concerning the population instead of waiting for their approval, adequate force protection, and so on. This is a chance to prove that we have.